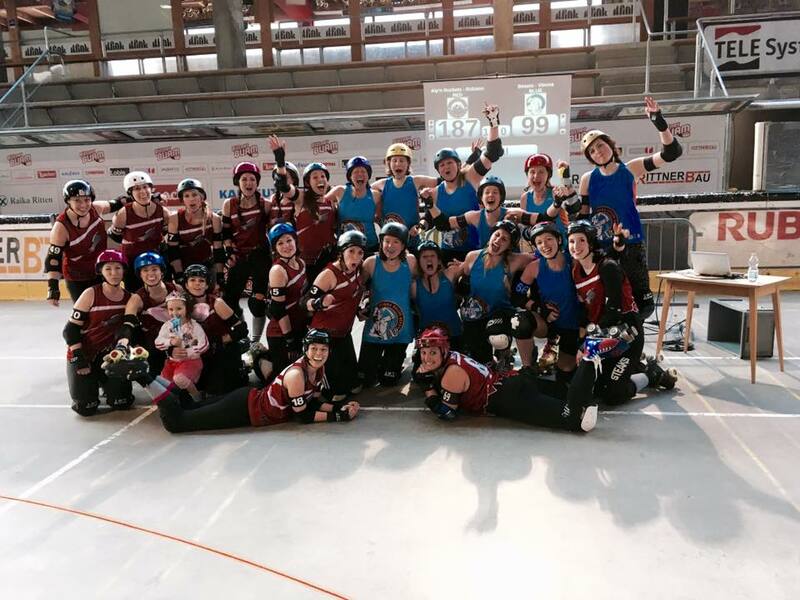 Currently ranked as 72nd team in European Roller Derby, Luleå’s Slaughter Daughters are coming from high up North in Sweden to play VRD’s A-team. This is definitely gonna be a great bout to see live so come with all your friends & family. The last bout of the spring season will be a doubleheader between Munich Rolling Rebels and Vienna Roller Derby and Vagine Regime Central Europe playing themselves in orange vs. grey. Halftime show by the Fearleaders Vienna and performances by the Musikarbeiterkapelle and the choir IM ERNST. For further details see the facebook event. ***Afterboutparty: Let’s party & celebrate 5 years of VRD at Weberknecht upstairs – free entry with VRD stamp from the bout. See the facebook event for further details! On the 14th of May VRD will be playing in Berlin against the Inglorious Bombshells in Berlin. The next bout in Vienna will be on the 4th of June in Stadthalle. More details will follow soon. Get ready for our next event: 2 bouts on one day! For further details see our facebook-event. 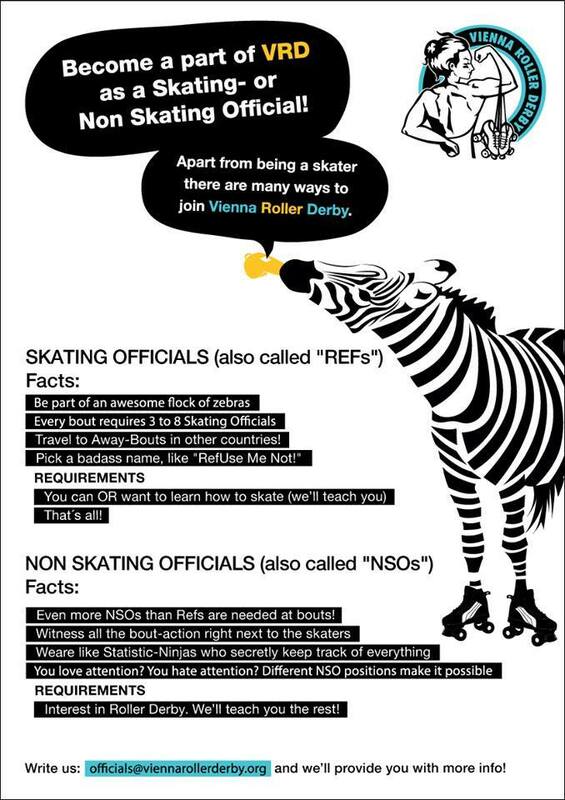 Become a part of VRD as a Skating or Non Skating Official! The second homebout of the season will be VRD vs. Gothenburg on the 19th of march 2016 at 6 pm. Afterboutparty: 22:00 at Weberknecht (upstairs). Further details will be anounced. Save the date for Vienna Roller Derbys first homebout of this 2016 Spring Season!! On Febuary 6th we will face our opponents of Barcelona Roller Derby in a homebout here in Vienna, that you surely do not want to miss! The time has come for our only homebout here in Vienna this fall! So get your tickets ready and be excited for when Kaiserslauterns Roller Girls of the Apocalypse meet your beloved beasts of Vienna Roller Derby! 17:00 doors open, 18:00 starting whistle!